Second video edit form Sestiere. We had great fun off-piste found an amazing lunch stop with a view! Leaving our lunch stop on the Sauze d’oulx side we slid off down to Sestriere carving through the trees. Heading back up the Sestriere side we spotted a great expanse of white, the ultimate jump building territory! It took a long time to build the jump and soon we were both sweating and taking layers off as we created our jump. I had never done any jumps before and it was confidence boosting flying along and landing in soft, deep snow, like floating and anding in a cloud. 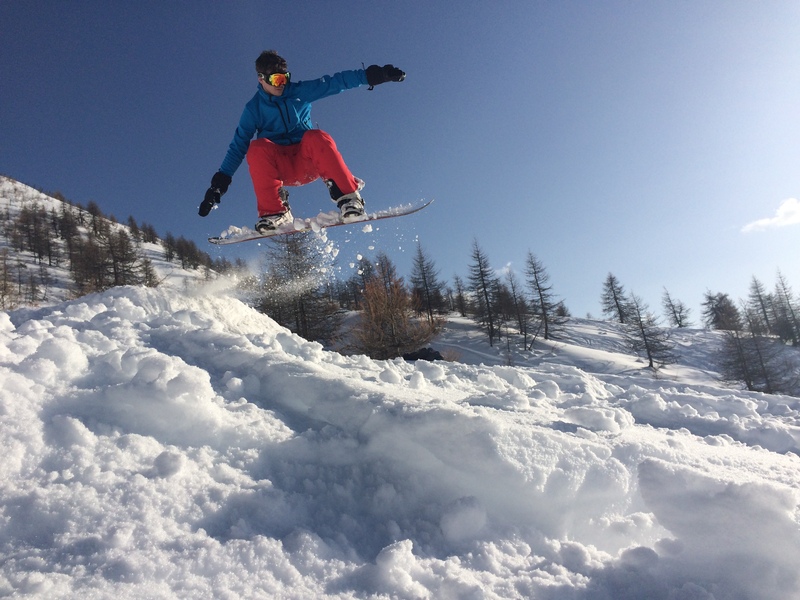 Take a look at my latest edit from fun off-piste and jumps in Sestriere. I hope you enjoyed my edit, if you did please subscribe to my you tube channel.